Many of the words I have chosen to use above are what I have heard my clients use and describe. These words show just some of the single, multiple and complex areas of trauma and the effects of trauma, acute stress and PTSD. I have many years of experience of working with the effects of trauma, across a broad range of ages, children and adults. That said though, I continue to learn from every client as the perception and understanding of trauma for each individual is different. What my experience allows me to do is to adjust and adapt my approaches and be able to work with you at a pace that you find most suitable. After an initial consultation, my first step with you is to stabilise, reduce and certainly diminish any continual mental replaying of traumatic events in the mind, as quite often trauma memories appear to be frozen in time, and begin to place associated memories back in the past. From then on, we work together at many levels, cognitively (your thinking patterns), somatically (your body sensations, tension and breathing), behaviourally, increasing your resources, developing healthier balanced thinking patterns and creating new meanings. 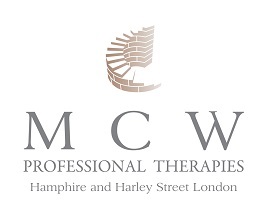 Using a combination of all the powerful and effective modern techniques of NLP, hypnotherapy and CBT. Download our short overview of Post Traumatic Stress Disorder (PTSD).